Gather round, extroverts. Let’s talk about one of our favorite subjects: People! Extroverts love to be around other people. A lot of jobs that appeal to extroverts take us out on the regular to mix and mingle in the world. Other jobs are office-based, but we still get our people fix by bouncing ideas off co-workers and chatting in the break room. Work-from-home jobs may seem counter-intuitive for extroverts, but they don’t have to be a death knell. It’s possible to be perfectly happy working on a distributed team or as a freelancer without losing your marbles, your friends or your sense of humor. It just takes a little initiative and planning. Fortunately, extroverts are really good at that sort of thing. 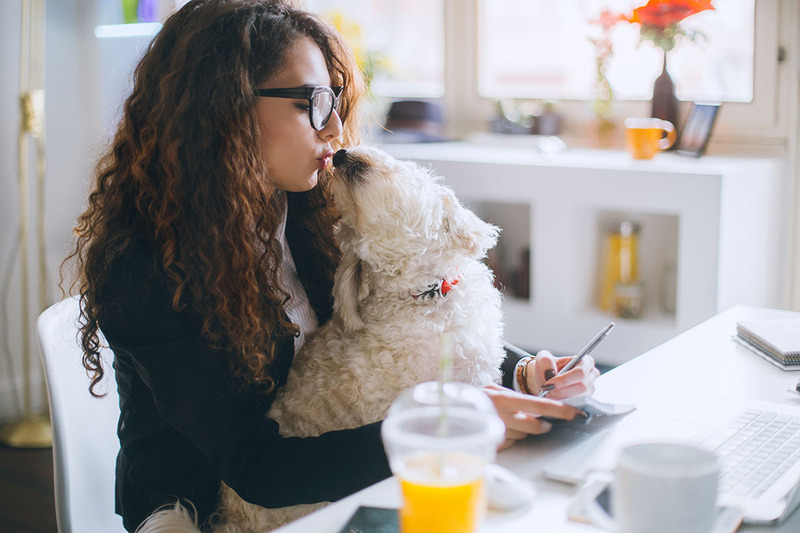 Here are five tips for working from home when you’re a people-loving, outgoing, action-oriented extrovert. If the company you work for requires you to use an in-house messaging system when you work remotely, you’ve already got a built-in method for staying connected to your colleagues. Freelancers, on the other hand, tend to work alone and aren’t usually part of inter-office group messaging arrangements. To avoid isolation, set up your own messaging group with your fellow freelancers and work-from-home peers. Messaging platforms like Slack and Ryver offer free plans to users, but a closed or secret Facebook Group may be more than enough to meet your communication needs. Networking with other people in your field does more than just keep you grounded and connected. It’s also a great way to take your income to the next level. For maximum care of your inner extrovert — and your best networking opportunities — be sure to also spend some quality face time with other people in your industry. You can also join the local chamber of commerce, attend conferences or perfect your public speaking skills at Toastmasters International. Many extroverts love a good group project where they can work with others toward a common goal. Check with your boss or clients to see if there’s an ongoing project where you can pitch in and help. We do many of these activities here at The Penny Hoarder HQ and a lot of them happen thanks to the amazing resident extroverts we have on staff. Extroverts have a knack for organizing, planning and running engaging meetings. Meetings are a pretty standard event for most organizations and someone has to plan them. If you’re an extrovert, that might as well be you. You’ll get to interact with other teams and co-workers while scratching your itch to take charge and make things happen. Most introverts I know are happy to turn this task over to someone who excels at and enjoys it. To be honest, most introverts I know are happy to skip meetings entirely, but extroverts are usually good at making them fun — or at least a little less of a drag. Introverts also sometimes have trouble speaking up during meetings, making the presence of extroverts even more beneficial. When you’re accustomed to working through options with other people to find solutions, it can be tough not having someone nearby to turn to. Go ahead and talk aloud to your pets, houseplants or just chatter to yourself. I’m not going to say I’ve pretended to hold meetings with the LEGO figurines on my desk — but I’m not going to say I haven’t. Out-loud conversation with animals or objects that don’t answer you back might sound silly but it’s a terrific way to problem-solve because it helps you organize your thoughts. If it’s just the background noise of the office environment you’re after, head to a coffee shop or the local library. The din will be constant, but not loud enough to be distracting. When you just can’t leave the house, YouTube has you covered with an eight-hour loop of office ambience that includes the sounds of printers, phones, and people talking and typing. When you’re allowed to work from the couch every day in your Perry the Platypus pajamas, it’s awfully easy to let inertia take over. Before you know it, you’re ordering Hot Pockets through Instacart and combing your hair with the fork you left on the coffee table. Physical and mental activity is important for everyone but extroverts can go from productive to putty in a single afternoon of remote working. In the absence of the social interaction that energizes us, we must make sure to keep the blood flowing in our brains so we don’t become zoned-out zombies. I use a standing desk and walk around the block a few times a day to keep my limbs and brain from falling asleep. To keep my mind sharp, I spend a few minutes working on a crossword or jigsaw puzzle every couple of hours. Even the most diehard extroverts need downtime away from people to recharge our batteries. Maybe it’s time to unplug, step away from everyone else, and take a little time for yourself. If you’re an introvert and these tips made you break out in a cold sweat, here are some ways to make a few bucks — no conversation required. Your turn: What’s your top work from home tip for extroverts? Lisa McGreevy is a staff writer at The Penny Hoarder. She’s an extrovert trapped in an introvert’s body who doesn’t mind meetings as much as you’d expect.